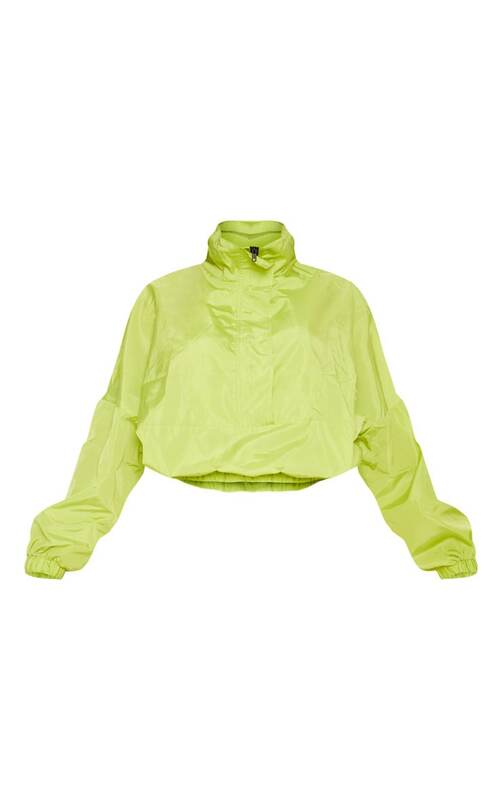 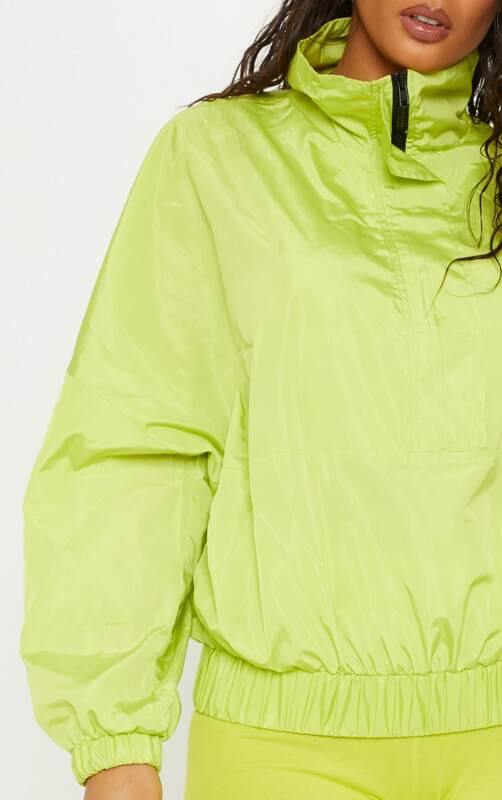 Work bright colours into your wardrobe with this must-have windbreaker. 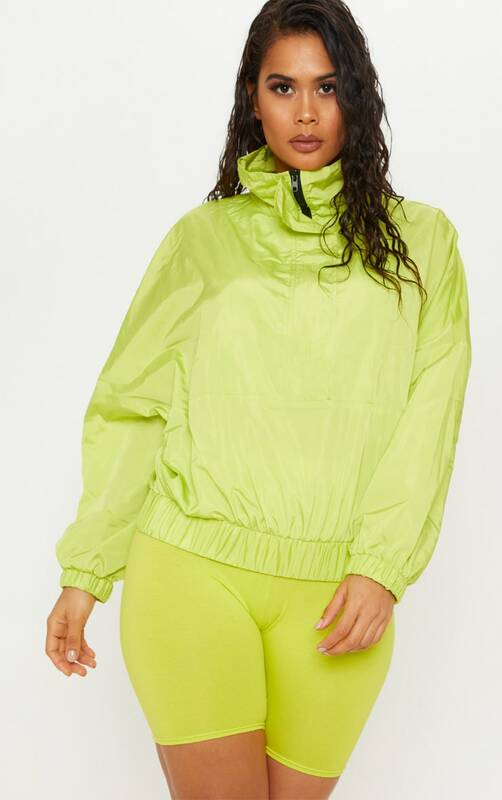 Featuring a neon lime fabric with a black zip detail, oversized fit and elasticated waistband, what's not to love? 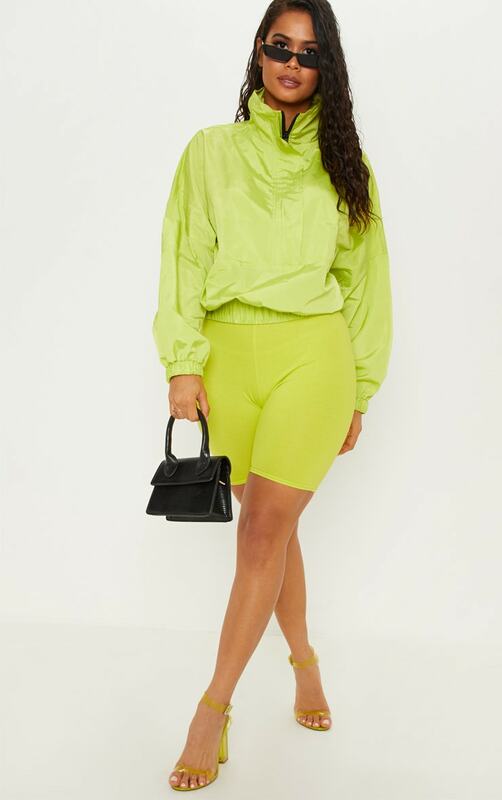 Go all out and style with neon lime cycle shorts and clear lime strappy heels for a fresh night out vibe we're loving.